Professor Pankaj Vadgama qualified in Medicine and Chemistry. He is Professor of Clinical Biochemistry and recently, Director of the Interdisciplinary Research Centre in Biomedical Materials, at Queen Mary University of London. His interests are in electrochemical biosensors for near-patient and in vivo monitoring, using miniaturised sensors and microdialysis. He has adapted biosensor chemistry for direct operation in biofluids and tissue, and has over 200 publications, 20 published patents. His underpinning research is in membrane technology for device packaging, and he was one of the first to report diffusion control membranes for extended linear range enzyme electrodes. Membrane systems for electrochemistry include microporous and anionic membranes, variously for selectivity and extended linearity to cover the clinical ranges of metabolites. He has variously worked on spider silk as an implant material, microfluidics for diagnostics, recess electrodes for reduced biofouling and electrochemically based mass transport measurement at bone adhesives as a surrogate for mechanical strength measurement during materials ageing. He has recently completed work on nanosilver as an antimicrobial agent for urine catheters and has established design strategies for a biodegradable electrochemical sensor for potential use for wound care. He is co-founder of a sensors spinout company, Camstech Ltd., to develop point of care sensors, and is Editor in Chief of Bioelectrochemistry. Professor Yuyuan Zhao obtained his BEng and MSc degrees from Dalian University of Technology, and PhD degree from Oxford University. He worked as a Lecturer at Dalian University of Technology and a Research Fellow at Birmingham University, before he joined Liverpool University in 1998 as a Lecturer. He was subsequently promoted to Senior Lecturer, Reader and then Professor, and served as Head of the Centre for Materials and Structures from 2014 to 2016. He is a Chartered Engineer (CEng) and a Fellow of the Institute of Materials, Minerals and Mining (FIMMM). Professor Zhao pioneered the Sintering and Dissolution Process (SDP) for manufacturing aluminium foam. He further invented the Lost Carbonate Sintering (LCS) process, a more versatile and cost-effective method for producing micro-porous metals. The LCS technology has led to the creation of Versarien, a highly successful start-up company which was floated on London Stock Market in 2013. Professor Zhao was awarded the Ivor Jenkins Medal in 2015 by the Institute of Materials, Minerals and Mining for his contribution to powder metallurgy in developing and commercialising innovative powder based technologies for manufacturing metal foams. Professor Zhao’s research is focused on the manufacture, characterization and applications of porous metals and metal matrix syntactic foams. His current interests are thermal and electrochemical properties of porous metals and their applications in thermal management and porous electrodes. Dr. Osman Adiguzel graduated from Department of Physics, Ankara University, Turkey in 1974 and received PhD- degree from Dicle University, Diyarbakir-Turkey. He studied at Surrey University, Guildford, UK, as a post doctoral research scientist in 1986-1987, and his studies focused on shape memory alloys. Marie-Christine Record is Full Professor of Materials Chemistry at the University of Aix-Marseille (France) since 2004. She earned her PhD from the University of Montpellier (France) in 1992 and after a post-doc position at Ecole Centrale Paris, she was hired as a Lecturer at the University of Montpellier. She has published more than 100 papers in reputed journals and has been serving as an editorial board member of repute. Her main field of interest is the elaboration of materials. Her skills spread from the determination of phase diagrams to the synthesis of materials by using methods such as mechanical alloying, Self-propagating-High-temperature Synthesis and electrochemistry. She has been working on materials for application purposes. She is currently working on the elaboration of 2D and 1D nanomaterials by Electro-Chemical-Atomic-Layer Epitaxy. Shozo Yanagida is an emeritus professor of Osaka University and a research director of “Research Association for Technological Innovation of Organic Photovoltaics” (RATO) of University of Tokyo. Since he was promoted to a professor of newly established “Koza” (research course) of Graduate School of Engineering in Osaka University (1980), he had contributed to photochemical conversion of solar energy, e.g., excellent photocatalyses of both nano-sized (quantized) ZnS and poly- & oligo-paraphenylene. When he was staying at SERI (now ENREL) as a visiting professor of Dr. A. Nozik’s group in 1984, he understood that organic molecules and their aggregates are kinds of quantum dots themselves. He has his expertise in evaluation of dye-sensitized solar cells, i.e., molecular structured photovoltaics, and passion in improving photo-conversion efficiency and long-term durability of solar cells in view of unidirectional electron flow and electron lifetime in solar cell devices. 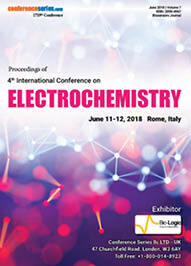 Molecular modeling of effective and efficient electrochemical processes that are driven by amorphous and molecular structured materials. Doron Burshtain has completed his PhD in Analytical Electrochemistry and Interfaces from The Hebrew University in Jerusalem (Israel) in 2005, and postdoctoral studies on The Weismann Institute of Sciences (Israel). He is the R&D Manager of 3DBattery Ltd., a start-up company developing revolutionary techniques for battery preparation. At the same time, during the past two years served as a consultant at the Weismann institute of science in Rehovot (Israel), at Prof. Jacob Sagiv’s group. He has published more than 30 papers and patents in reputed journals and major patents offices around the globe (granted and pending). In the recent years deeply involved in the cutting-edge research and development technologies of Energy Storage devices. 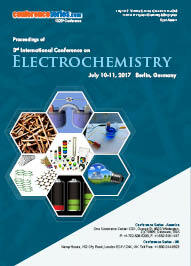 Interfacial Electrochemistry and surface modifications, Lithium Ion and post lithium rechargeable batteries, Energy storage devices. Professor Gupta is the South African Research Chair for Nanotechnology for Water and a Professor in the Department of Applied Chemistry at the University of Johannesburg. He joined the University as a Distinguished Visiting Professor under the Global Excellence and Stature initiative and was subsequently approved by the NRF as the aforementioned SARChI Chairholder. He was a Marie Curie Fellow at the Department of Chemistry, University of Regensburg, Germany, Visiting Professor (DAAD) at the Technical University of Chemnitz and Freie University of Berlin, and a KFUPM Chair Professor at King Fahd University of Petroleum and Mineral in Dhahran, Saudi Arabia. He has visited more than 25 countries for research and academic collaborations. Nanotechnology for Water, Environmental Engineering, Electro-analytical Chemistry, Chemical sensors, Waste Management. Jim P. Zheng is a Professor and Sprint Eminent Scholar Chair at the Department of Electrical and Computer Engineering of Florida A&M University and Florida State University, Adjunct Chair Professor at the College of Automobile Engineering of Tongji University, Adjunct Professor at the Shanghai Institute of Technical Physics of the Chinese Academy of Sciences. He is the recipient of National Academy of Inventors Fellow, National Research Council Fellow, Army Research & Development Achievement Award, NASA Faculty Research Award, and Progress Energy Professional Development Award. He has published more than 150 articles in scholarly journals, and 140 papers in conference proceedings in the fields of energy storage, fuel cells, nano-sensors, photonics, and thin film growth, and been awarded 18 patents, and 5 patents have been licensed by a private companies. He is the founder of General Capacitor LLC and a co-founder of Bing Energy International Inc.
Nano material and Nanotechnology, Photonic and Chemical Sensors, Li-ion Batteries, Thin film growth, Fuel cells, Nano-sensors, Electrochemical Capacitors, Li-air Batteries. Werner Paulus is exploring low temperature oxygen diffusion mechanisms in transition metal oxides. Oxygen doping, via topotactic reaction mechanisms while proceeding at ambient temperature is a powerful tool to access structural and electronic complexity in a controlled way. It also allows to better explore the underlying diffusion mechanisms on an atomic scale, having huge importance in solid state ionics, e.g. 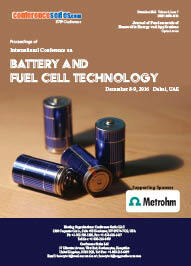 for the optimisation of battery materials, fuel cell membranes/electrolytes or sensors. Research activities cover synthesis methods from powder to large single crystals and to explore oxygen intercalation reactions in especially dedicated electrochemical cells on single crystals and polycrystalline electrodes by neutron and X-ray diffraction (synchrotron & laboratory), spectroscopy (XAFS, Raman, INS, IXS, NMR) combined with 18O/16O oxygen isotope exchange reactions and sophisticated data analysis (Maximum Entropy, twinning). Research activities cover synthesis methods from powder to large single crystals and to explore oxygen intercalation reactions in especially dedicated electrochemical cells on single crystals and polycrystalline electrodes by neutron and X-ray diffraction (synchrotron & laboratory), spectroscopy (XAFS, Raman, INS, IXS, NMR) combined with 18O/16O oxygen isotope exchange reactions and sophisticated data analysis (Maximum Entropy, twinning). Sakari Kulmala is professor of Analytical Chemistry in the Department of Chemistry, Aalto University. Venelin Enchev is professor of Theoretical Chemistry in the Institute of Organic Chemistry with Centre of Phytochemistry, Bulgarian Academy of Science. His research interests are the syntheses and the study of structure-property relations of (semi)conducting organic and organic/inorganic (hybrid) materials (small molecules and polymers) finding applications in organic light-emitting diodes (OLEDs), organic photovoltaics (OPVs), organic field effect transistors (OFETs), CO2 reduction, etc. Nina Dimcheva graduated from the University of Sofia (M.Sc. in Chemical Physics, 1990) and obtained her Ph.D. in Physical Chemistry at the University of Plovdiv (2001). Since mid-2006 she is Associate Professor of Physical Chemistry in the same department, The University of Plovdiv, Bulgaria. Her research interests are focused on the catalytic activities and electrochemical characteristics of immobilized enzymes; electrodeposition of nano-clusters of noble metals on graphite/glassy carbon; modification of electrodes by electrically active enzymes and related studies aiming at the development of enzyme-based biocatalytic electrodes. 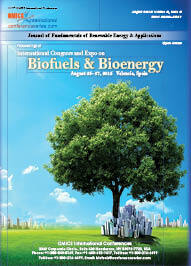 Electrochemistry, Heterogeneous catalysis, Immobilized oxidative enzymes, Enzyme-modified graphite and noble metals electrodes, Amperometric biosensors, Biofuel cells. Mirosław Kwiatkowski in 2004 obtained Ph.D. degree at the Faculty of Fuels and Energy, AGH University of Science and Technology in Krakow, in the discipline: technology of chemistry. Currently he is working an assistant professor at the AGH University of Science and Technology, at the Faculty of Energy and Fuels. Main field of his interests is physical chemistry, mathematical modelling of the adsorption process, description of the porous structure, practical aspects of adsorption, an analysis of the influence of the production method on the formation of the porous structure of carbon adsorbents, numerical analysis, computer science, energy efficiency, renewable energies and problems connected with municipal waste management. His published work includes more than 40 papers in international journals and 72 conference proceedings. He is a member of the editorial board of internationals journals as well as a member of the Organizing Committee international conferences, and a regular reviewer in a reputable scientific scientific journals. Apart from scientific work Mirosław Kwiatkowski also does some teaching. Runs classes on computer science, numerical methods, chemistry and is a tutor of a student scientific society called “Green Energy”. Main field of his interests is physical chemistry, mathematical modelling of the adsorption process, description of the porous structure, practical aspects of adsorption, an analysis of the influence of the production method on the formation of the porous structure of carbon adsorbents, numerical analysis, computer science, energy efficiency, renewable energies and problems connected with municipal waste management.